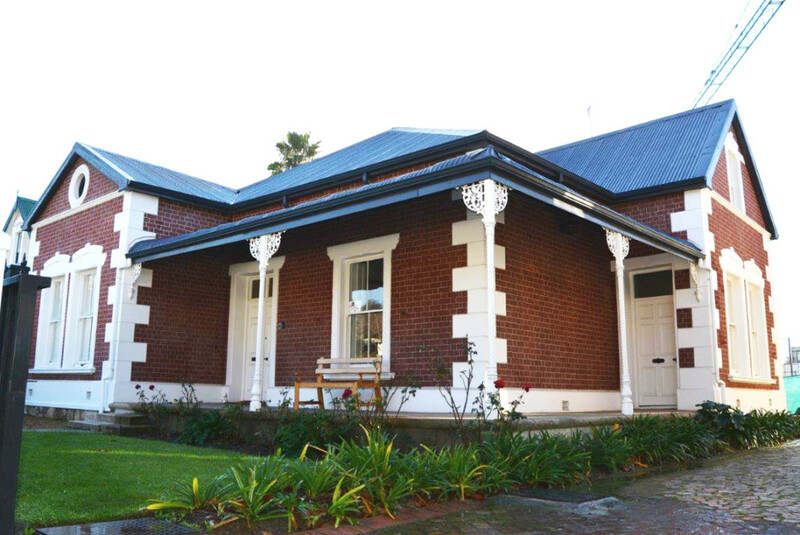 The Laborie Sentrum was purchased in 2015 in co-ownership with Dorpstraat Property Fund after the previous building came to the end of its lifetime. 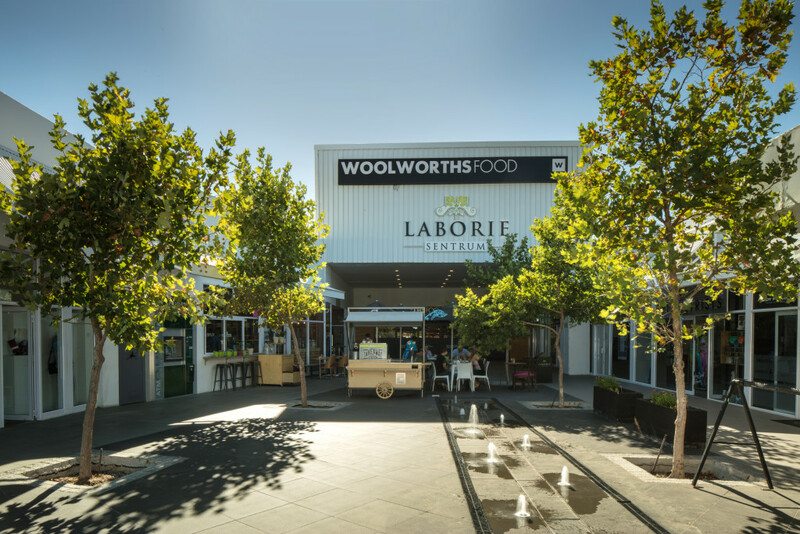 The centre was seen as a great opportunity to enlarge the footprint and renew the urban fabric through improving the look and feel, providing ample free parking, security, a social space in a vibey piazza and a great tenant mix with Woolworths Food and Clicks as anchors. The Shopping experience is one of convenience whilst coffee, wine, good food and the great view over the vineyards and Paarl Mountain emphasise the natural beauty of the setting. 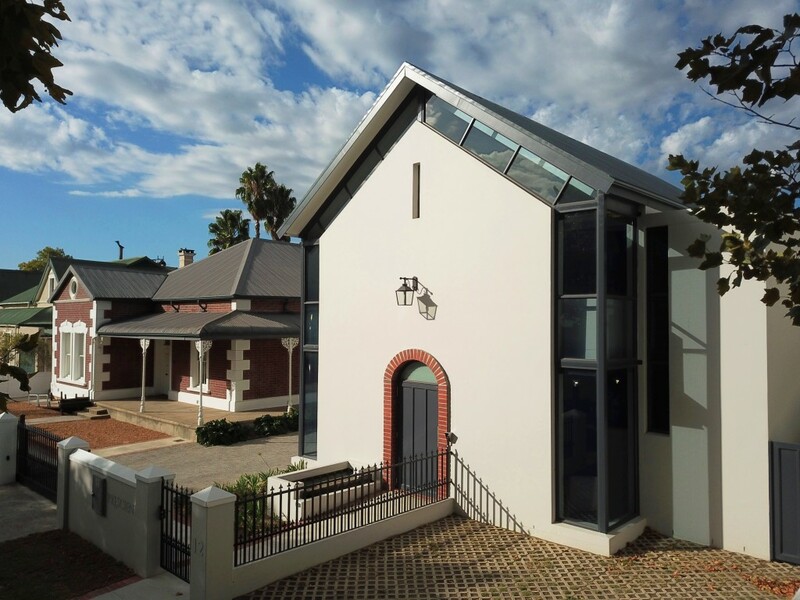 The Papegaai Street Office Development was converted from an old 3-bed house and now consists of 1125m² office space in Stellenbosch’s historic core. The building comprises of basement and ground level parking, with office space over three levels. 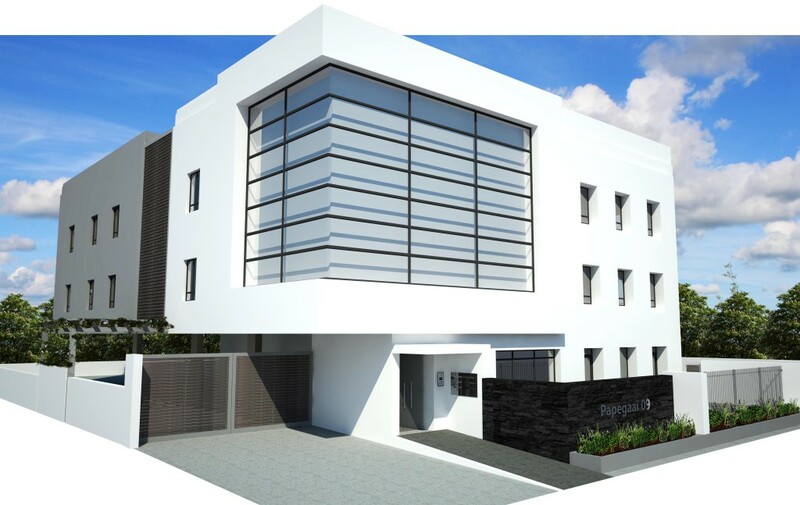 It has been fully let since completion by established companies looking to be based in the heart of Stellenbosch within easy access to the main routes, Dorp Street and Stellenbosch’s restaurant & cafe culture. The Herold Street office building transformed the ugly duckling of this historic street into a real gem. In 1902 this leafy road was the first in the historic West End of Stellenbosch that was fully developed. The architects therefore took great care to respect the character of the road and the design fit like a glove in-between two historic buildings, one of which we have restored to its former glory. The result is a boutique luxury office for a single tenant to entrench their identity in the historic part of town. 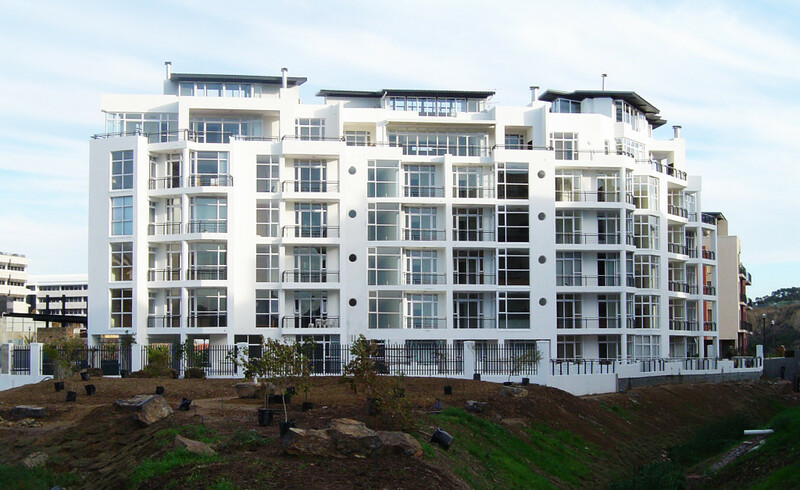 The Cliffs is a mixed use development in Tyger Falls, Tyger Valley. The three tower buildings in The Cliffs are linked by a five level parking garage for 570 vehicles. Phase 1, an eleven storey complex is totally devoted to 91 apartments. Phase 2 and Phase 3 consist of nine storey office buildings. 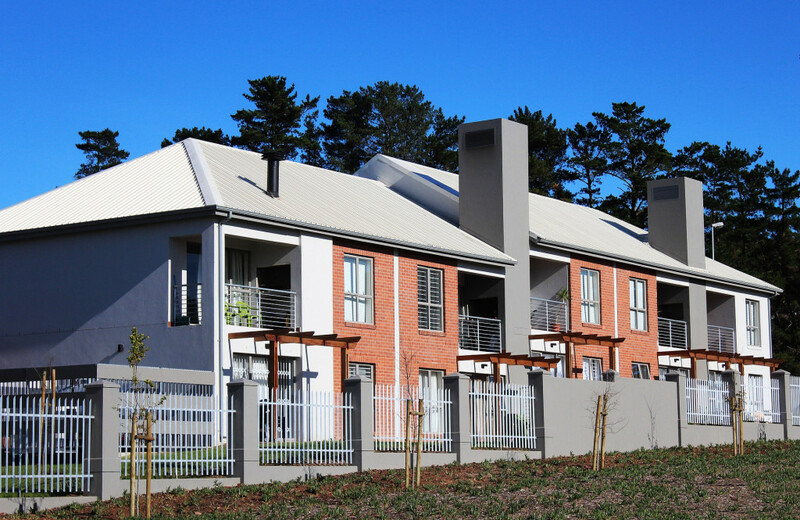 John Wallander, a manager at Nedbank Corporate Property Finance, which has arranged finance for this project, says that this must be one of the better property investments in the northern suburbs. This is due to the building being located on a 4,5ha water body and situated in an area where available land for development is virtually non-existent. The building was also well designed and the specification levels of the common passages and bathrooms are of a high quality. 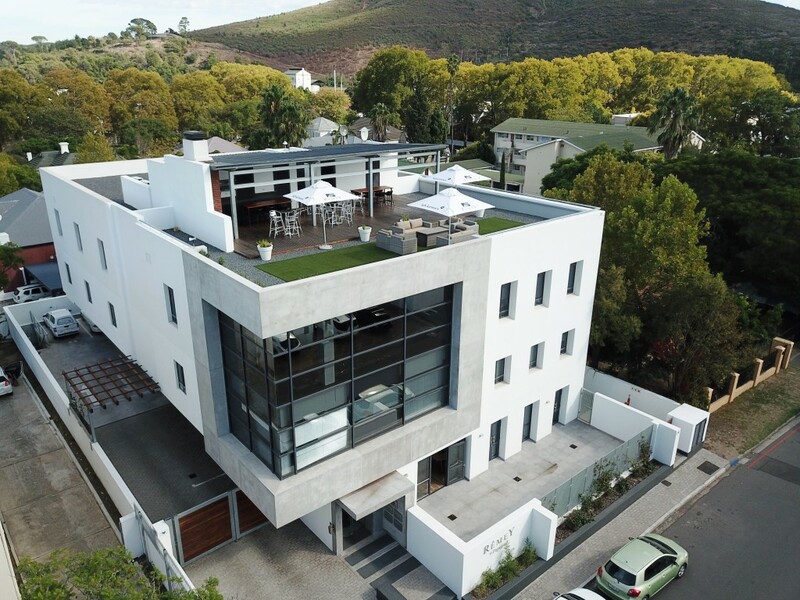 Office occupants at The Cliffs have an average of 4,3 undercover parking bays per 100m² of office space and there are an additional 36 visitors’ bays in the building. Remey Construction was responsible for the construction of this project. These luxurious apartments in the prestigious Tyger Falls Development, promotes a relaxed way of living in absolute comfort and safety. It is situated opposite the Tyger Valley Shopping Centre and within walking distance from the Virgin Active Health Club and the Bell’s Golf Academy. 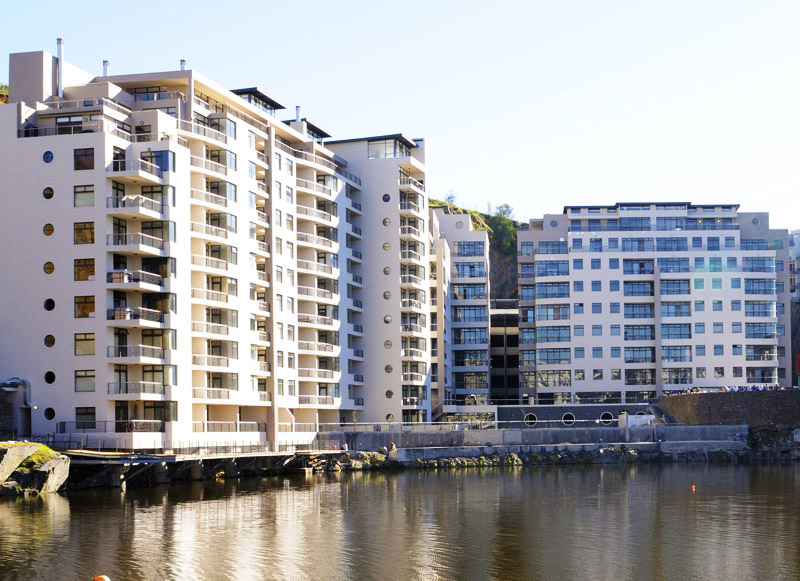 The north facing apartments, positioned between the Elsies Kraal River and the Tyger Falls Canal, offer a unique waterside tranquility with spectacular views. Vue de la Rive consist of a semi-basement parking level, ground floor apartments, four floors of apartments and penthouses, giving a total of 40 apartments. A parking ratio of 1,5 bays per apartment was adhered to resulting in 49 basement-parking bays and 11 surface parking bays. A lift services the basement and all floors. Provision has been made in the basement for a laundry. Remey Construction was also responsible for Vue de la Rive as a construction project. Remey Property Group was one of the shareholders who did this development and the construction was done by Remey Construction. 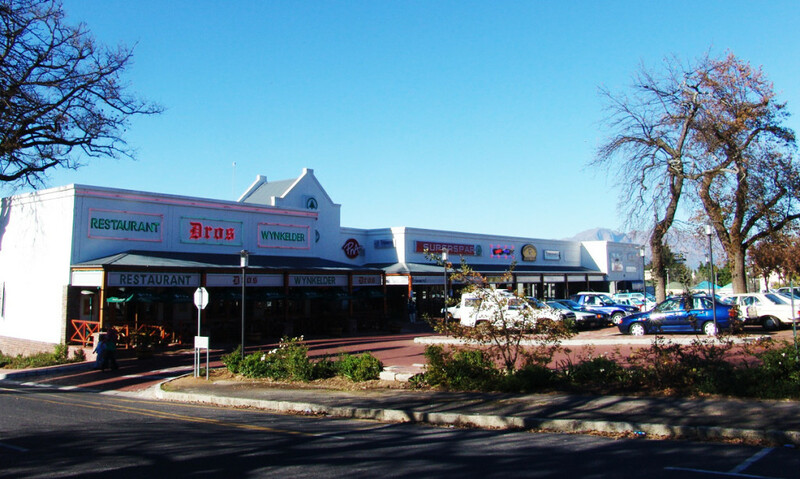 This shopping centre is situated in the Oude Westhof / Van Riebeekshof area of Tyger Valley. 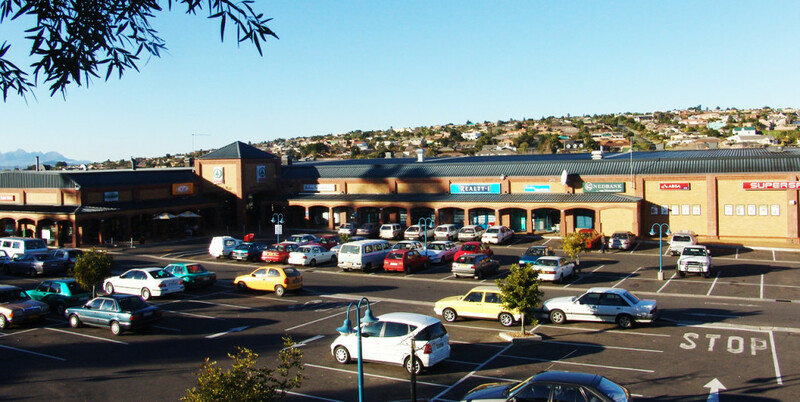 Remey Property Development was a shareholder in the development of this well received shopping centre, which was constructed by Remey Construction. Herold Street 14 is an office property. Remey Property Development did the restoration of this building. This apartment development consists of 28 housing units over two floors. Its prime location in the sought after Durbanville residential area, combined with the effective double story use of land, made this an economically viable and well received development. Remey Construction was responsible for this construction project.